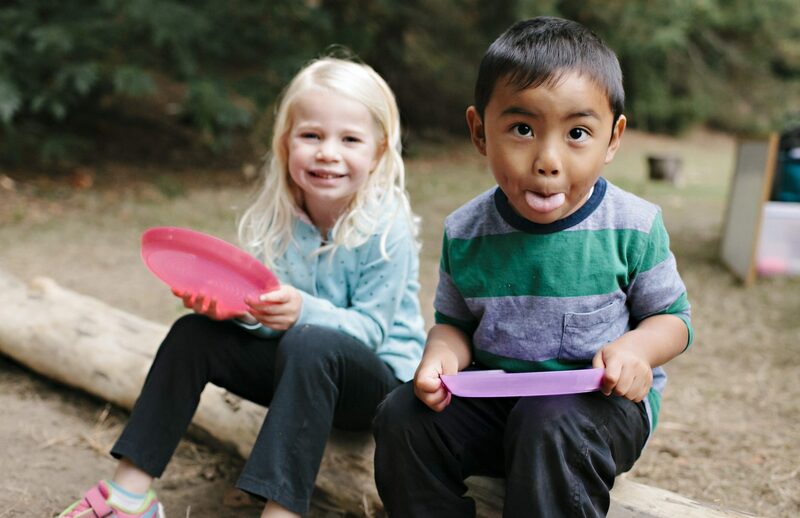 With extraordinary history, natural landscape, and easy access to Bellevue, Renton, and Issaquah, Cougar Mountain makes for an ideal location for an outdoor preschool or forest kindergarten. Modeled on the first outdoor preschools that started in Denmark, Sweden, & Norway over 50 years ago, Tiny Trees uses the natural environment as the third teacher. Your adventurer will ramble through endless acres of big mossy trees, explore secret meadows, and uncover bugs, frogs, and worms in the streams and marsh. As the school year progresses, and little legs get stronger, we’ll hike to hidden waterfalls and seek mountain views. With a diversity of landscape, and a regional majesty, Cougar Mountain is an ideal location for exploration and hands-on learning – presenting ample opportunities to learn math and science concepts through the natural world. This is our largest park, with lots of little trails full of big wonder, and the best opportunities for big nature: bird watching, animal viewing, and bug hunting. In our awe-filled outdoor classroom, your young explorer will play with symbols, letters and ideas and build the social skills and resilience needed for a lifetime of success. They will play in a language rich environment, hearing and seeing words for the names of the trees, plants, and creatures that make the forest home. Numbers and symbols will be incorporated into daily play to build early math skills. To explore the world of science, and test their theories of the natural world, your child will plan their own experiments and share what they have learned with classmates through daily plan – do – review sessions. Your child’s outdoor classroom is a 5 minute walk from the parking area, and secluded from the main trail and other users. Each day will start and end here with a schedule that includes plenty of child-directed play, social interaction, and excursion time in a learning rich environment. A fresh and healthy snack is included in the program. The classroom includes a private bathroom & hand-washing station, and rain canopies in case of inclement weather. An 8 minute drive from I-90 and 10 from I-405, Tiny Trees at Cougar Mountain is most accessible for families in the Bellevue, Renton, Issaquah area. Apply now to reserve your space in the 2017 founding class. A hidden gem of King County Parks, full of towering trees & serene cedar groves, Big Finn Hill is an excellent location for a forest school. Modeled on the first outdoor preschools that started in Denmark, Sweden, & Norway over 50 years ago, forest schools use the natural environment as the third teacher. Daily, your little explorer will incorporate the awe and beauty of the natural landscape into their lessons, play, and activities. In fall they will collect fallen branches & leaves to build forts & castles, all while learning how to communicate and collaborate with their peers. In the winter your child will develop big muscles, and stay warm, by climbing and swinging between branches in our magical grove of low-hanging climbing trees (safely supervised). And in summer your little one will collect blackberries and salal berries to add to their snack, and to make art (blackberry Picasso? salal Monet?). In our majestic classroom below the boughs of large western red cedar trees learning will come naturally. Together with a class of energetic peers, your young scholar will play with symbols, letters, and ideas, and build the social skills and resilience needed for a lifetime of success. They will play in a language rich environment, hearing and seeing words for the names of the trees, plants, and creatures that make the forest home. Their language and learning will be supported with plenty of books, sing-a-long songs, and small group story time. Numbers and symbols will be incorporated into daily play to build early math skills. To explore the world of science, and their theories, your child will plan their own experiments and share what they have learned with classmates through daily plan – do – review sessions. Your child’s outdoor classroom is a 6 minute walk from the parking area at the Kirkland Lacrosse Center and secluded from the main trail and other users. Each day will start and end here with a schedule that includes plenty of child-directed play, social interaction, and excursion time in a learning rich environment. A fresh and healthy snack is included in the program & a new children’s playground (built 2016) is located at the parking area for your use before and after class. The classroom includes a private bathroom & hand washing station and easy access to the public picnic shelter in case of inclement weather. An 8 minute drive from WA-522 and 10 from I-405, Tiny Trees at Big Finn Hill Park is most accessible for families in the Kirkland, North Bellevue, Lake Forest Park, Woodinville & Bothell area. Classroom is a 10 minute walk from Henry David Thoreau elementary school. The daily schedule. Photos by Julie Harmsen Photography. 3 additional South King County locations to open in 2018 & 19. Apply here to reserve your spot for Five Mile Lake, White Center Heights or Maplewood Park. Gratitude to our partners at King County Parks for making this project possible. Dear Google: This webpage is about outdoor, nature preschool, child care, and day care in Renton, Issaquah, New Castle, Bellevue, Redmond, Kirkland, Bothell, Lake Forest Park, Kenmore, Woodinville and Sammamish, Washington. These forest kindergartens and forest schools in the Greater Seattle area are a 20 minute drive from Shoreline, Montlake Terrace, Kent, and Lake City, Seattle. 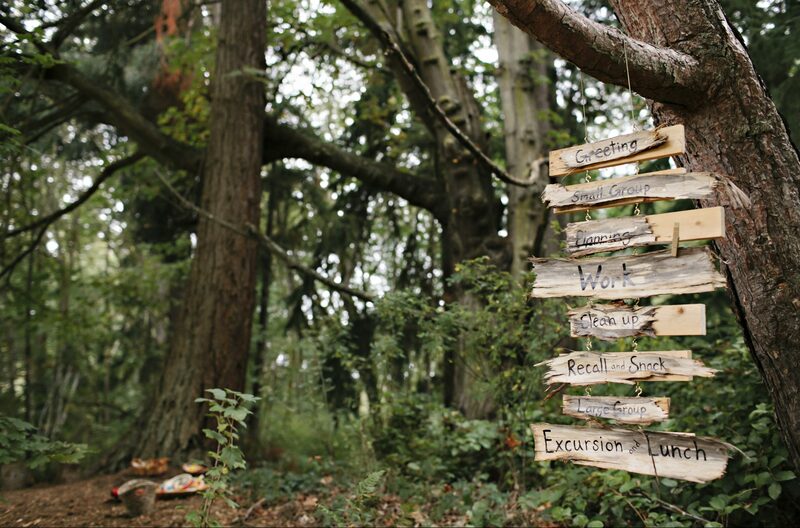 Tiny Trees Preschool has seven outdoor preschools in the Greater Seattle area.